Having a reliable source of comfort in you home or business is an absolute necessity. 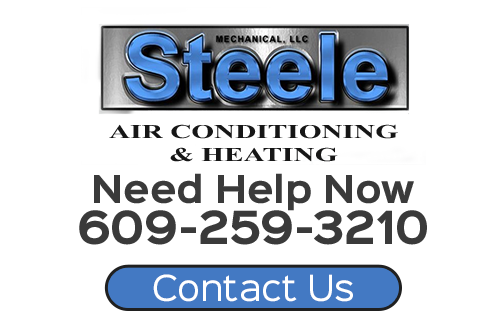 At Steele Mechanical, LLC Air Conditioning and Heating, our Hamilton heating contractors and air conditioning service technicians are here to ensure that your heater and air conditioner are always operating in the most efficient and effective fashion. We have the knowledge, skill, and experience necessary to provide for all your HVAC related needs. Each of our technicians is professionally trained and licensed. We take an immense amount of pride from our work. In every project we undertake, our goal is to achieve the highest levels of customer satisfaction possible. We will bring this dedication to excellence to task for you. If you need to install, repair, maintain, or replace a heater or air conditioner in Hamilton, call Steele Mechanical, LLC Air Conditioning and Heating today. With our assistance, your HVAC system will operate in the most effective and efficient manner. We can schedule your service call today. If your air conditioner is old and unreliable, you should give serious consideration to replacing it. Our Hamilton air conditioning company can inspect every portion of your HVAC system to identify what is causing poor performance. If it is determined that the best route to solving your comfort needs is a complete replacement, our experts will be there to assist you every step of the way. Installing a new air conditioner in your property is a substantial investment. As such, you need to choose the best system for your unique property and your specific comfort goals. Our air conditioning experts can help you with this selection process. We can then install your system in the most precise manner. As a Hamilton property owner, you know how important it is to have a fully functional and reliable heater in your home or business. Our heating contractors in Hamilton, NJ are here to help keep your boiler, furnace, or heat pump in the best condition possible at all times. We provide both routine maintenance and emergency heating repairs in Hamilton, NJ. Through our heating tune-ups, we can prepare your system for the heavy demand of the winter months. After our efforts, your furnace, boiler, or heat pump will be able to achieve your comfort goals in a more efficient and effective fashion. If your heater does fail when you need it, our emergency heater repair professionals are just a phone call away. We will work our hardest to restore comfort to your property in the quickest manner possible. "Changed blower motor on the heater. Would highly recommend to anyone I know. Responsive, polite, clean, knowledgeable, no hard sell, great troubleshooting." "Scott was just GREAT! It was the coldest day in February when my heat decided to fail. Our call for emergency service was answered promptly, and he was over in just under an hour, diagnosed the problem, and had us up and running in no time! Fair quote, and clean work. Best yet- he showed up when he said he would! I would highly recommend." If you are looking for a professional Hamilton heating contractor or air conditioning company, then please call 609-259-3210 or complete our online request form.